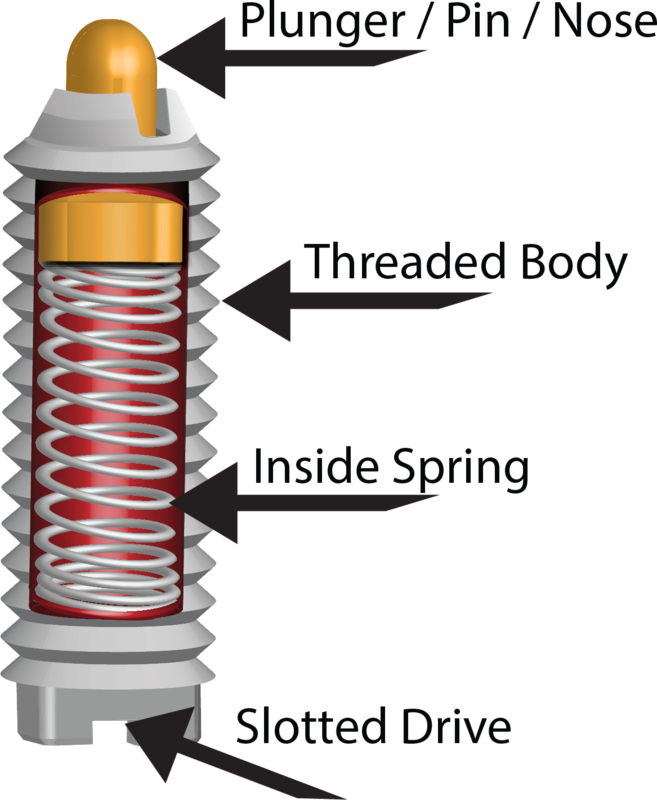 Spring plungers are used for locking and then locating of separate components and come in a variety of metric and standard sizes. These components use spring-force to apply pressure so that the ball or nose will remain positioned. These plungers have different installation methods including hex socket, slotted drive and top slot for blind-holes and have light, standard, or heavy end forces available to them. Ball Plungers have no knob and a ball instead of a nose. The ball has little depth which allows for movement in and out of position. However, ball plungers do not perform well with heavy loads. Spring plungers are designed to have a nose that allows for movement when side-force is applied. Because of this, spring plungers are not suitable if a heavy side load is involved. As the contact force puts pressure on the plunger or nose of the spring plunger, it depresses in to the body forcing the internal spring to compress allowing the contact force to position the nose into the desired notched out area. This type of use for a spring plunger is to lock something into position. Spring plungers can also be used as a form of cushion between two objects. The spring plunger nose hits one object the internal spring tension is made with a specific tension so the nose of the spring plunger depresses only to a certain point. This in turn allows for a little space between two objects. They can also be used as a support between objects. 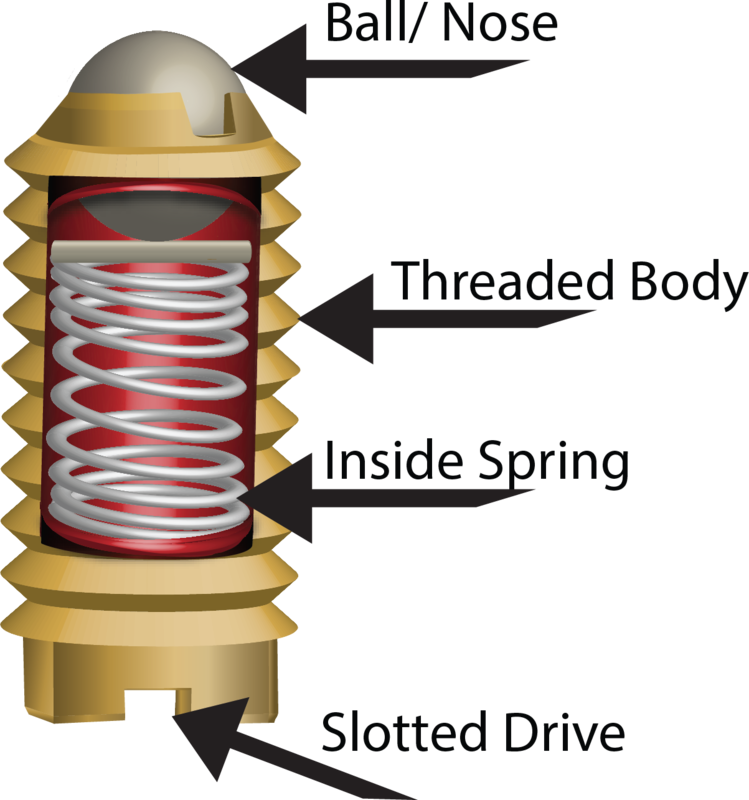 The spring plunger nose depresses as it comes in contact with an object and pushes out until that object is lined up in position with the object next to it. Added support from side force.